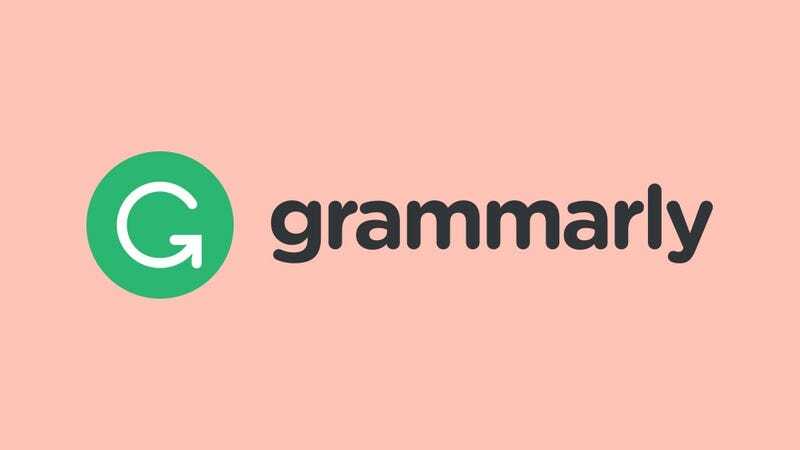 If you haven’t heard of Grammarly—I had not, but our friends at Lifehacker have covered the service before—it’s basically a Chrome extension that promises to check your grammar/spelling as you type stuff in real time. Grammarly claims that it uses “artificial intelligence” and “machine learning” to help people write better, and though I’m not sure what that means, it certainly sounds fancy. It’s canny marketing, too: Facebook, Amazon, Google, Microsoft, and Apple are all heavily investing in buzzword-laden tech like “machine learning” and “artificial intelligence,” so it makes sense that investors are flocking to startups that promise the same thing. For a company raising its first round of investment (Grammarly was founded in 2009 and has been bootstrapped ever since), $110 million is incredibly significant. As Bloomberg notes, this is among the largest initial investments for a startup recently. The round is led by VC firm General Catalyst; according to Crunchbase, this is the biggest investment round General Catalyst has been a part of (either as a lead investor or participant) since November 2016. The free version of the software is supposed to “flag potential issues in the text and suggest context-specific corrections for grammar, spelling and use, wordiness, style, punctuation, even plagiarism.” This often works well (though Grammarly actually flagged content from the sentence I quoted directly from its own help documents), but incorrectly used words or serial comma issues that aren’t actually serial commas seem to trip up the system. Grammarly employs 110 people and claims to be profitable. That’s certainly better than most startups that raise $110 million, but without seeing financial documents ourselves, it’s impossible to know what the margins actually are. Still, I can’t help but feel like I’m missing something. Obviously, with enough users, machine learning and AI could help figure out how people write and offer suggestions to improve said writing. But this still feels more like a feature to an existing service (in fact, Grammarly bizarrely offers its own Microsoft Word plugin, despite the fact that Word has robust grammar and spelling tools), rather than a separate product in its own right. As an outsider, it certainly looks like a startup has successfully taken a product/feature that already existed, slapped “AI” on it, and used that to raise a bunch of venture capital. If this idea is really worth $110 million, why wouldn’t Microsoft or Google just build their own version into their existing word processors? Moreover, if this is so valuable, what’s to stop Google from just creating a similar Chrome extension? I don’t get it. But then again, I’m not a venture capitalist. As we’ve learned, even the most unprofitable companies can be worth tens of billions on paper (see: Uber, Snap), and investors can often be lured by even the dumbest ideas.